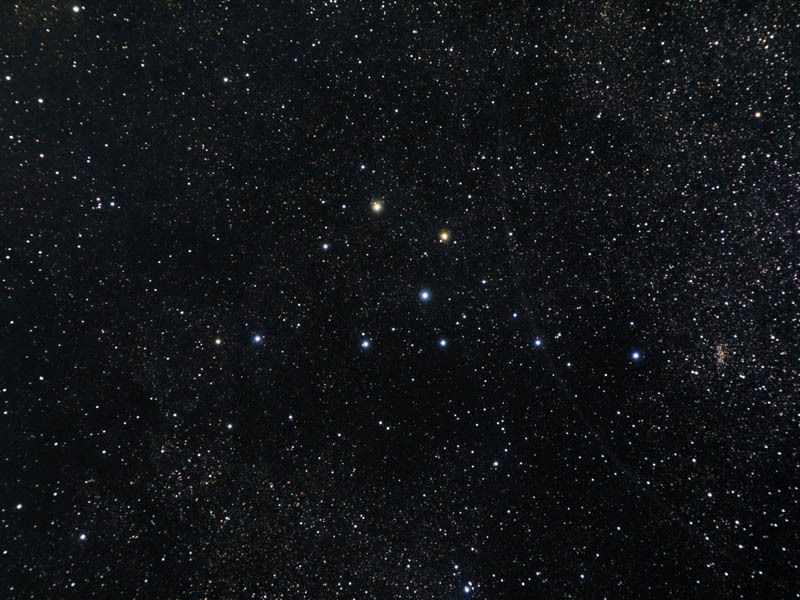 This open cluster of stars seems to resemble a "coat hanger". The small cluster of stars on the right end of the coat hanger is NGC 6802. Note: Many have inquired as to the faint arc passing through the second bright blue star from the right. This is an artifact cause by a reflection in an improperly finished focuser. I have repainted the interior of this focuser with flat black and the arc is no longer a problem.